tinued to sparkle with rogramming.â&#x20AC;? Happy Sweet 20 I always thought turning 20 was a big deal – a milestone – as we bade farewell to our teenage years. Turning 20 should trigger a more serious attitude about life… what we want to do, how we want to start taking responsibility, and deciding on the kind of adult we want to be, or so I thought. Perhaps I have, like many around me, over-romanticised the notion of turning 20, because the idea of a life full of hope, and the world being one’s oyster, is just too attractive not to take note. In orchestra terms however, turning 20 probably means we can now carry on with confidence – as it means that we have survived the first 20 years. I am grateful for all the love and friendship from everyone in Hong Kong, and beyond: the artists, the sponsors, the collaborators, and the audiences, many of whom have become staunch supporters of Hong Kong Sinfonietta over the years, and without whom we would not be where we are today. One of our special friends in Hong Kong, whom I have chosen to be our Artist Associate this season, is McDull, the local piglet. He is a character created by Alice Mak and Brian Tse – with whom we mark our 14th year of collaboration. Having produced 10 different titles under “HKS McDull Music Project” since 2006, we have decided that we will be featuring the “Very Best of McDull” this summer, to share with you a lot of our favourite moments from our past collaborations. The orchestra’s motto since the beginning has always been “to invest in a cultural tomorrow” and so we will not abandon our concerts for babies, children, families and anyone who wants to learn more about music! Our chamber concert series continues, and you will also find us collaborating with many different performing arts groups. After our very successful 1st Hong Kong International Conducting Competition (2018), we will be continuing with the Hong Kong International Conducting Workshop this season and we hope to attract a lot of young conductors who wish to hone their skills. We will also continue with our venture into the world of new commissions and premières, as we believe that orchestras have the mission to maintain the momentum of creativity. One of our signature projects A Soldier’s Story (commissioned in 2005), created by Hong Kong choreographer Yuri Ng, will be entering its fifth phase of regeneration, as we tour this unique story told with four dancers, to Taipei, Taichung and Tokyo. It seems that we do have a lot in store for our 20th birthday – and I nearly forgot to mention our special gratitude to our friend the Czech artist Mr Jiří Votruba, for drawing a lovely birthday cake for us. I wonder whether we would be able to recreate one which we can share at our birthday party concert near the end of the year! Looking forward to seeing you at our concerts! 麥兜是香港創作的卡通人物，由謝立文創作，麥家碧繪畫。自2001年《麥兜故事》起，麥兜惹笑又感人的 故事被多次改編成動畫電影，且屢獲國際動畫大獎，包括法國安鍚國際動畫影展 「最佳動畫長片大獎」、 南韓首爾國際動畫節「最佳動畫長片」、加拿大蒙特利爾國際兒童電影節「評審團大獎最佳長片」、香港電 影評論學會「最佳電影」，以及三度獲得台灣金馬獎「最佳動畫長片」等。 麥兜電影的一大特色，是大量採用古典音樂作為配樂及改編歌曲，當中以莫扎特《土耳其進行曲》改成的 「仲有最靚豬腩肉」尤其家傳戶曉。除電影外，麥兜參與的文教宣傳片，以至商業廣告，古典音樂都是當中 重要元素。於是，孟德爾遜與冷氣機，巴赫與升降機，德伏扎克與床褥⋯⋯都莫名其妙地扣在一起。 自2006年，麥兜獲香港小交響樂團邀請舉辦了多場音樂會 —《動物嘉年華》變成了《茶餐廳嘉年華》， 《伏 爾塔瓦河》變成《小便歷險記》，馬勒遇上林布蘭，華格納碰著屎撈人⋯⋯背後理念跟以往一樣，希望觀 眾，尤其是小朋友觀眾，可以先脫離既定成見，先忘記要交音樂會報告，安心做一隻小豬，讓古典音樂原 始而多面的力量，開啟自己的想像世界。 Created by Brian Tse and Alice Mak, McDull is a thoroughbred Hong Kong cartoon character. Since The Story of McDull in 2001, the sometimes silly but always moving stories of this piggy have been turned into various feature length animations and have also received multiple awards at international film festivals including: “Grand Prix (Feature Film)” at Festival International du Film d’Animation d’Annecy, France; “Official Competition Grand Prize (Feature Film)” at Seoul International Cartoon and Animation Festival, South Korea; “Special Jury Prize – Best Feature Film” at Montreal International Children’s Film Festival, Canada; “Best Feature Film” of the Hong Kong Film Critics Society; and three “Best Animation Feature” awards at the Golden Horse Award, Taiwan. Ever since its inception, McDull movies have been tightly associated with classical music, often as background music which was sometimes complemented by lyrics in Cantonese which evolved into some surprisingly singable melodies (! ), the most memorable being the song The Best Pork Belly which takes its melody from Mozart’s Piano Sonata Rondo Alla Turca. With classical music, McDull has been actively contributing to commercial publicity as well as educational and public notices! As a result, Felix Mendelssohn (the composer) is now associated with an air-conditioner, JS Bach for the correct use of the elevator, and more personally, Smetana’s Moldau and Wagner’s Ride of the Valkyries with McDull’s daily sanitary activities... 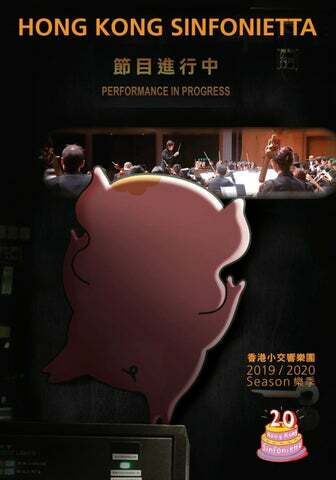 Since 2006, McDull has been joining hands with the Hong Kong Sinfonietta to present “music projects” which come in the form of concerts with original animation. The Carnival of the Animals becomes The Carnival of a Hong Kong Cafe, The Moldau becomes The Story of Water (with a difference); Mahler is juxtaposed with Rembrandt while Wagner accompanies the exciting underground journey of Excreman… The thinking behind these concerts is the hope that, our audience, especially our younger generation, can be free from mundane daily constraints and be as jolly as McDull and his friends. We believe that the power of classical music can open up everyone’s imaginary world. 香港小交響樂團自2006年起舉辦「駐團藝術家」 計劃，邀請不同範疇的藝術家在樂季中以不同形式與 樂團交流和合作，為古典音樂創造新的可能性。 First launched in 2006, the HKS Artist Associate Scheme aims to provide a platform for intensive communication with an invited artist (of any artistic discipline) during the season – to develop new collaborative ideas to expand the horizon of classical music. 的他，曾經委約多位作曲家就巴赫的六首無伴奏大 提琴組曲為起點譜寫樂章，2017年凱拉斯曾於香港 呈獻此系列的上半部，載譽歸來，今年則演奏第四 至第六無伴奏大提琴組曲及其搭配的三首當代作 品，從不同角度回應巴赫的經典。 Called by The Strad as “a remarkable artist who breathes new life into well-worn repertoire”, JeanGuihen Queyras is a true master who embraces the old and the new. Whereas his recording of Bach's complete Cello Suites has won him such accolades as Diapason d’Or of the Year 2008 and CHOC du Monde de la Musique, he is also a champion of contemporary music and has premiered works by leading composers including Michael Jarrell, Thomas Larcher and Bruno Mantovani. He returns to Le French May with the second part of his acclaimed “Six Suites, Six Echoes” project, for which he commissioned six new works to accompany each of Bach's six monumental Cello Suites. Surely a feast for the ears and soul! Did you know that if you stretch out all the twists and coils, a tuba would be taller than three men standing on top of one another? Imagine playing this massive instrument! Tuba virtuoso Thomas Leleu is coming to Hong Kong bearing the gift of not one but TWO exciting programmes showcasing this gigantic shiny instrument and its cousins the trumpet, French horn and trombone. Join him and conductor Perry So on a 400year journey to explore the exhilarating array of brass music played on the orchestra’s brightest, shiniest, loudest instruments! 向音樂巨人致敬 貝多芬曾說過：「感謝上帝，我能夠創作音樂，但除此以外我在世上沒有 別的東西能夠做到。」但是我們非常清楚，他的音樂所表達到的一 切，多年來令無數世人得到奇妙的共鳴與深遠的啟發。2020年是 貝多芬250歲誕辰紀念，指揮黎志華於兩場百分百貝多芬的音樂 會中，除選演他的不朽樂章外，還會深入淺出為大家介紹這位 Year 2020 marks the 250th anniversary of the birth of one of classical music’s giants, Ludwig van Beethoven. In this pair of concerts, conductor Jason Lai will take a look at some of his best known masterpieces and will explore recurring themes such as victory over adversity and symphonic grandiosity in Beethoven’s extraordinary output. 票務指南 Ticketing Information 香港小交響樂團主辦的音樂會，門票通常於演出前兩個月公開發售（有關各音樂會的開售 日期請參閱內頁），並設有全日制學生、60歲或以上長者、殘疾人士及其陪同人、以及綜合 社會保障援助受惠人士優惠，詳情請參閱個別音樂會單張。 Tickets to Hong Kong Sinfonietta concerts are typically available 2 months prior to the concerts (please refer to the concert programmes pages for box office opening dates). Concessionary tickets are available to full-time students, senior citizens (aged 60 or above), people with disabilities and the minder and CSSA recipients. Please refer to individual concert leaflets for details. To celebrate Hong Kong Sinfonietta’s 20th birthday, a special discount offer is available to the following four concert series. When you purchase standard tickets to two or more concerts in a series, you will enjoy a 20% discount! 4) 貝多芬/相約大師柏鵬系列 Inspired by Beethoven 薛高維茨基鋼琴三重奏 Sitkovetsky Trio Recital 貝多芬三重協奏曲 Beethoven Triple Concerto 大提琴大師葛哈特 Alban Gerhardt Plays Julian Anderson 門票於城市售票網發售 URBTIX box office opens: 14.9.2019 除特別註明外，所有音樂會的入場年齡為6歲或以上。 All of our concerts are for ages 6 or above unless otherwise stated. DOUBLE YOUR GIFT! 香港小交響樂團是香港政府認可的藝術發展配對資助計劃藝團之一， 這樂季籌募的捐款將獲一對一配對資助。 Hong Kong Sinfonietta is in the Hong Kong Government’s Art Development Matching Grants Scheme. 您的每 HK$1 捐款會變成 HK$2！ Every dollar you donate to us will be DOUBLED! 其他支持方法 (例如贊助或廣告形式) For other forms of support (e.g. sponsorship or advertising) 歡迎致電 call us at (852) 2836 3336 或 or 電郵至 email us at fundraising@hksinfonietta.org to discuss. SUPPORT NOW AND HELP US GO FURTHER! □匯財卡 Visa □萬事達卡 Mastercard □美國運通卡 American Express 此卡只適用於一次性捐款 This card is for one-off donation only. 支票 Cheque 本人附上劃線支票作一次性捐款予「香港小交響樂團 有限公司」 。 I enclose a cheque of the above stated amount as my oneoff donation to the “Hong Kong Sinfonietta Limited”. 如選擇每月定期信用卡捐款 For monthly credit card donation: 本人授權香港小交響樂團有限公司由本人之信用卡賬戶內每月定期扣除上述之帳款，直至本人另 行通知為止。本人同意此授權書於本人之信用卡有效期後及獲續發新卡時繼續生效，並無需另寫 授權書。（如需要取消或更改本授權書，請於取消或更改生效日期十個工作天前通知香港小交響 樂團有限公司。） I hereby authorize the bank to debit my credit card account to make a monthly donation of the above stated amount to the Hong Kong Sinfonietta Limited until further notice. I agree the validity of this agreement will continue before or after the expiry date of my credit card account. Cancellation or variation of this authorization shall be given to the Hong Kong Sinfonietta Limited ten working days prior to the date on which such cancellation or variation is to take effect. 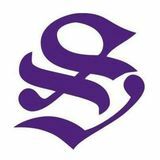 Thank you for supporting Hong Kong Sinfonietta! 閣下提供的個人資料，香港小交響樂團有限公司將絕對保密，只用作郵寄收據及其他通訊之用。有關其他贊助及捐款查詢，請電郵至 fundraising@hksinfonietta.org 或致電(852) 2836 3336。Your personal data will be treated as strictly confidential and will be used for issuing official receipts and other communication purposes only. If you have any questions or comments, contact us at (852) 2836 3336 or fundraising@hksinfonietta.org.